High-profile Republican U.S. Representative Jason Chaffetz announced last week that he will not seek a 6th term from Utah’s 3rd Congressional District. That political bombshell from the Beehive State was followed by the lawmaker telling KSLN radio that he might in fact resign before the end of the 115th Congress. If Chaffetz does exit the chamber early, it would be a first in Utah history. A Smart Politics analysis finds that Utah and Alaska are the only two states in the nation to never see one of their U.S. Representatives resign from office since statehood. Utah’s streak of not having any of its U.S. Representatives quit their job is obviously much more impressive considering the larger pool of lawmakers who have been sworn into the chamber vis-à-vis Alaska. Chaffetz would be the first to resign of the 38 members to serve in the House from Utah, compared to just four who have served the Last Frontier State (owing mostly to Don Young’s 23-term-and-counting tenure as its at-large U.S. Representative). Of the 20 Utah U.S. Representatives who did not run for reelection, only four served as many or longer than Chaffetz’s five terms: James Hansen (11), Joseph Howell (7), Jim Matheson (7), and Walter Granger (6). 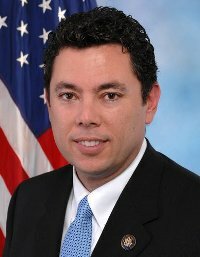 There is speculation that Chaffetz is not done with politics, and could seek higher office in the coming years. Of the 20 Utah U.S. Representatives who did not run for another term, eight ran for the U.S. Senate (George Sutherland, Milton Welling, Abe Murdock, Walter Granger, David King, Sherman Lloyd, Wayne Owens (twice), Laurence Burton) and two ran for the governorship (Dan Marriot, James Hansen) within two years of their departure from the office. All told, each of the 50 states have had at least one member resign early from Congress – either in the upper or lower legislative chambers. Two states have never had a U.S. Senator resign – all 11 from Arizona and seven from Hawaii. Utah almost falls into that category as well, but not technically. In December 1974, Republican Wallace Bennett resigned two weeks before the end of his fourth and final term. As was a frequent practice at that time, exiting U.S. Senators would resign from office so that their successor could get appointed early in order to gain seniority on other members of the entering class of the upcoming congress. [This gaming of the seniority system is no longer permitted in the chamber]. Bennett resigned on December 20, 1974 and fellow GOPer Jake Garn was appointed to the seat the following day. Bennett is the only senator to resign early from the office of the 16 senators to serve Utah since statehood. Democratic physician Kathryn Allen had already raised over a half-million dollars to challenge Chaffetz in 2018. Two other Democrats (Benjamin Frank, Carl Ingwell) and one Republican (Damian Kidd) have also filed to run in the district. Previous: Do US House Special Elections Foreshadow Partisan Waves? 4 Comments on "I Can’t Quit You: Utah 1 of 2 States Never to Have US Representative Resign"
UT: Owens also stood down for the 1974 cycle “within two years of his departure” from his seat, for the Senate (he too launched a failed governor bid a full decade on). As for post-Chaffetz, his seat, even with an Evan McMullin-type nonmajor contender running alongside an R and a D, ought to be a safe “GOPPER” hold. DEMs seem enthusiastic about their (likely) 2018 nominee (K. Allen) but the party would seem to want to focus their efforts on UT-04 first. (Concurred) Based on at least the 2016 top-of-the-ticket vote returns, it would behoove the DEMMMORS to prioritise on CDs 04 and even 02 – the venues less hostile to the party.